Well here it is ladies & gents, the moment you’ve been waiting for. 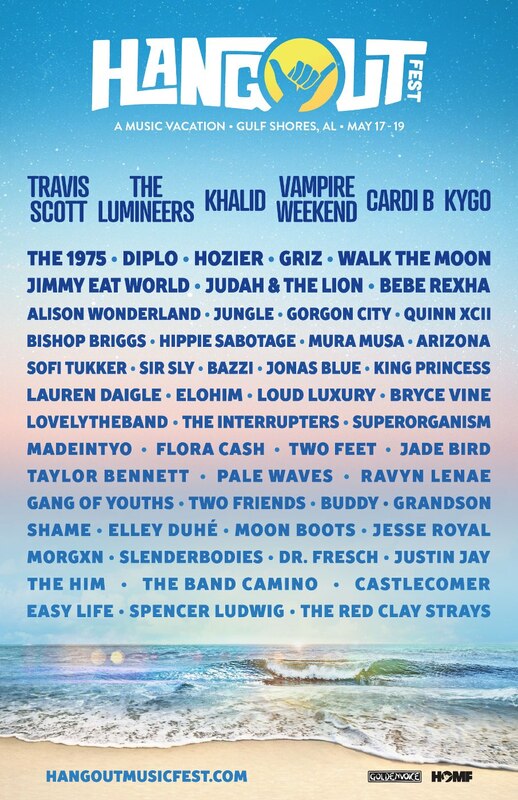 92ZEW, the official Hangout Fest station is proud to help reveal the lineup for the sixth annual, award-winning Hangout Music Festival on the beautiful beaches of Gulf Shores, Alabama. Today at noon, organizers rolled out the lineup with no advance warning to fans. Tickets are $249 general admission. Just like previous years, a limited number of VIP and Super VIP packages will be available too. Ooooh, just in time for Black Friday! There’s also a payment plan option. Hit up HangoutMusicFest.com to purchase tickets and get more details. Remember to keep it on the ZEW for chances to win tickets, VIP packages and more. Hangout Radio 2015 Interviews, Pics etc.